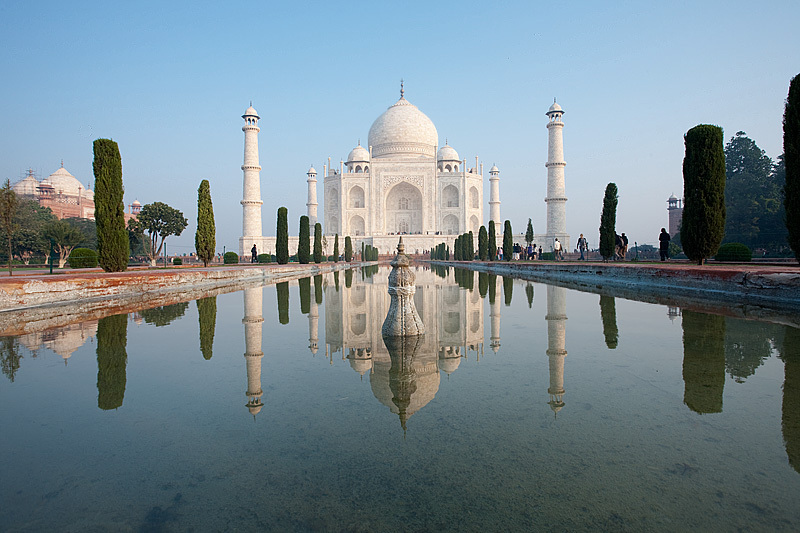 The Taj Mahal mirrored by a water fountain's reflection. This photo is one of those typical cliche classic shots of the Taj seen by many and attempted by nearly all those that visit the Taj Mahal. I arrived early enough to limit the number of tourists in my photo. And you can thank my trusty polarizing filter for such a crisp reflection from the water. 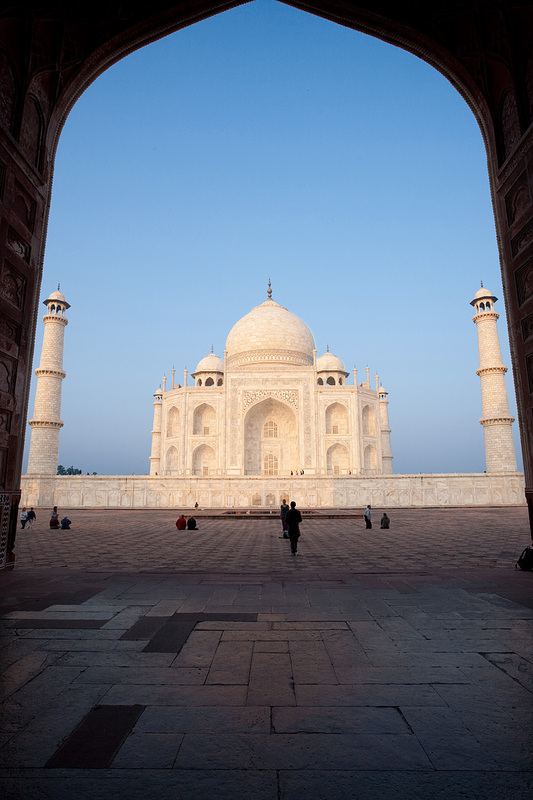 The Taj Mahal framed by the immense gates of its neighboring building, the jawab. If you didn't know beforehand, you quickly get an idea of the cliche classic shots of the Taj by the number of people lining up at precise spots to take photos. As I was taking this photo, a group of about 30 tourists were impatiently waiting behind me waiting for me to clear their frame. A group of eastern European tourists were so impatient, they tried to physically push me and a couple of others out of the way until an Indian guard came to our rescue. In the end the eastern Europeans were told to wait until we finished taking our photos.